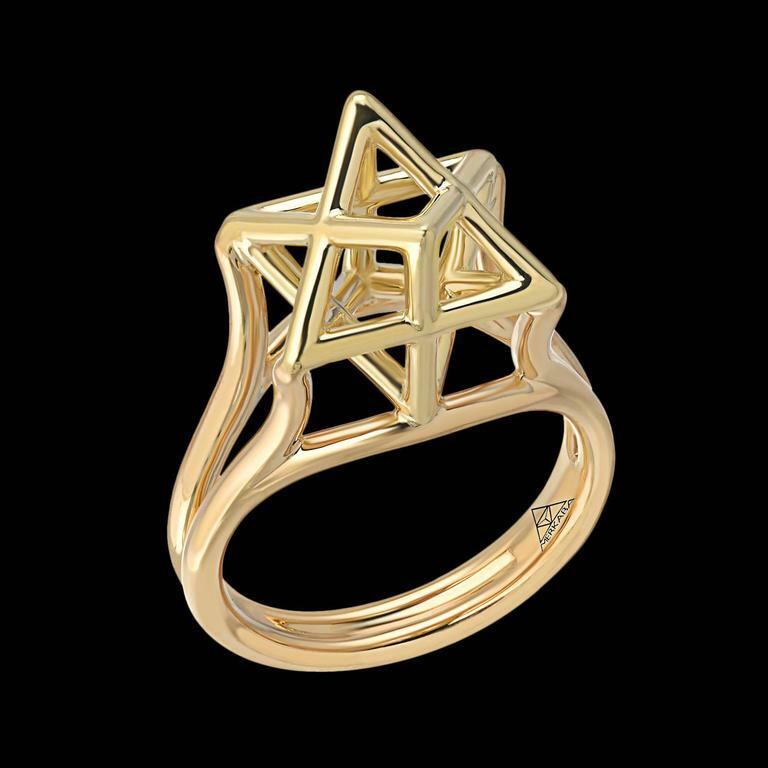 This Merkaba 18k yellow gold ring, features an architectural design, extending upward from the hand, 0.43 inches, a stunning three-dimensional Star of David. Size 6. 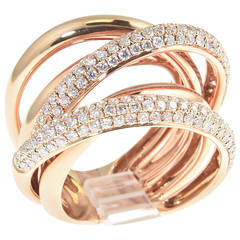 Can be resized to fit. *Each piece comes with a certificate of authenticity and unique serial number. 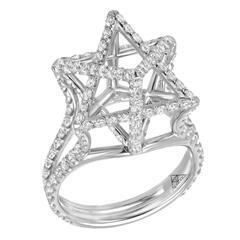 *Made by extremely skilled hands in the USA, Merkaba is a shining chariot for global unity. 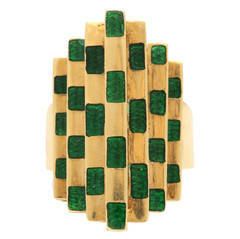 Cool 18kt Green Enamel & 18kt Yellow Gold Architectural Ring. Playful & witty Looks different from every angle. Size 7 1/2 but can be sized and weighs 8.9grams.